The question of the geographic boundaries of Hollywood is been the subject of debate ever since the small community was annexed to Los Angeles in 1910. As mentioned earlier, the corporate limits of the city of Hollywood extended from Center Street (now Normandie Ave.) on the east 2 Crescent Ave. (now Fairfax Ave.) on the west, and from the top of the Santa Monica Mountains on the north, to Beverly Boulevard on the south. 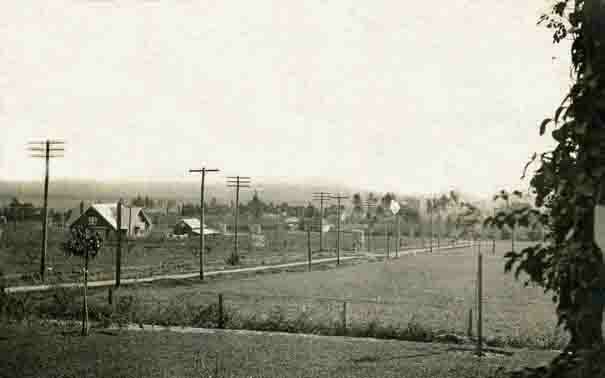 After annexation in 1910, Hollywood retained its identity as a district, with essentially the same boundaries as before. However, as Hollywood began to grow and gain in the east and west boundaries were unofficially extended to Vermont Avenue and Crescent Heights Boulevard respectively. Sunset Blvd. is one of the oldest and longest streets in Los Angeles. At about 24 miles in length, from the Pacific Ocean on the west to Echo Park at the east, parts of Sunset Blvd. is considered one of the most glamorous streets in the country. Some of the finest photos of Sunset Blvd. are in the hollywoodphotographs.com website and collection. 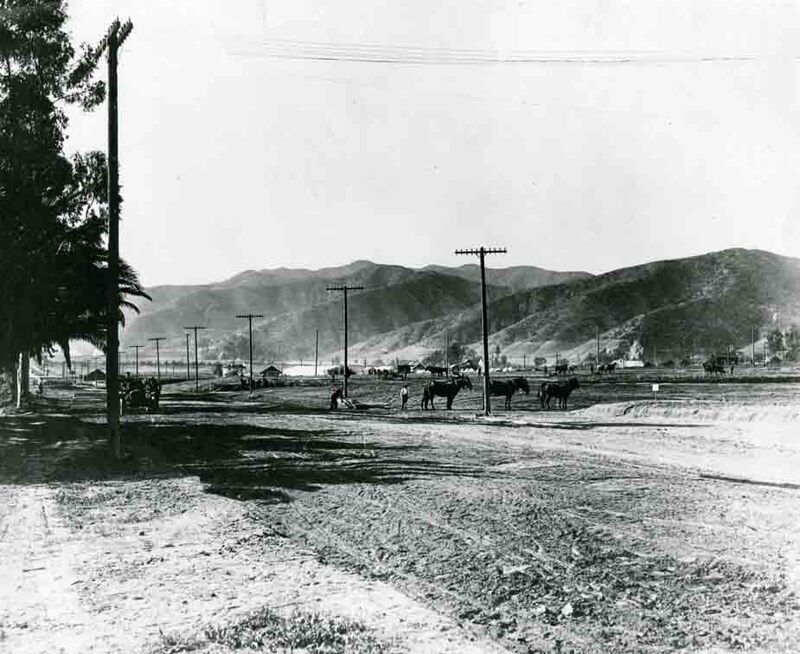 One of the earliest photos, of the famous street, is of the grading in the Hollywood Area. As Hollywood began to grow, the street became the hub of some of Hollywood’s most glamorous restaurants, nightclubs and shops. The Sunset Boulevard is one of the most popular streets in the United States. It is, also, one of the longest streets in Los Angeles – running from Figueora Ave. to the Pacific Ocean. During the teens and 1920s, the Fine Arts Studio called Sunset Blvd. home. Two other movie studios were located on Sunset Blvd. – Warner Bros. had its studio at the intersection of Bronson Ave. Columbia Studios built their plant at the corner of Gower St. The first film studio, Nestors Film Co., to settle in Hollywood rented a former tavern, Blondeau Tavern, in October, 1911. It was located on the northwest corner of Sunset Blvd. & Gower St.